The Romans were adept at crucifixion, according to many historical sources. The first archaeological evidence of crucifixion was uncovered in 1968 when, during a controlled archaeological dig under the direction of the late Vasillios Tzaferis, an ossuary (bone box, or receptacle) was found north of Jerusalem containing the bones of a man who had been crucified. His name was “Yehohanan, the son of Hagakol.” He is thought to have been between 24 and 28 years of age, and was about 5 feet 6 inches in height. 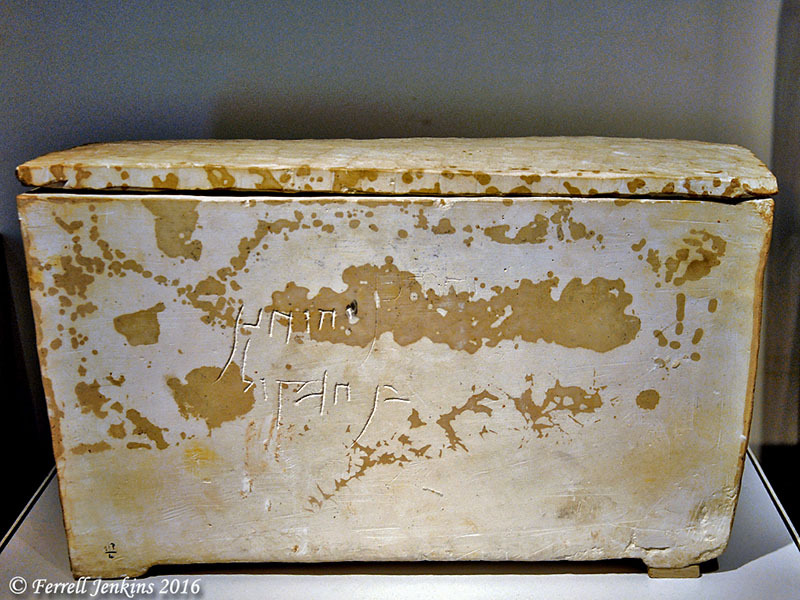 Ossuary of Yehohanan, son of Hagkol. Dates to first century A.D., and is made of soft limestone. Israel Museum. Photo by Ferrell Jenkins. Both the ossuary and a replica of the heel bone are displayed in the Israel Museum. When Yehohanan was removed from the cross the nail pulled away from the wood. He was buried with the nail in his heel. 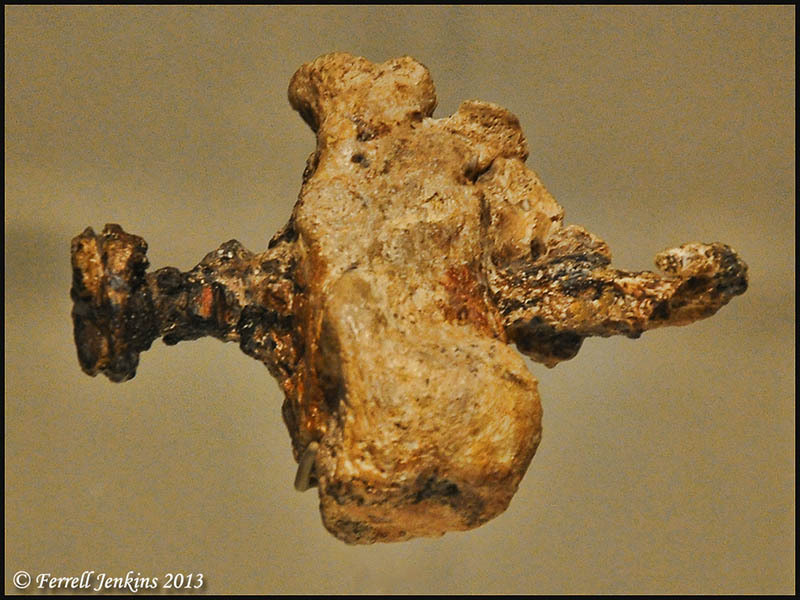 Ankle bone replica of Yehohanan, son of Hagkol, who was crucified outside Jerusalem in Roman times. Display in Israel Museum. Photo by Ferrell Jenkins. No ossuary or bones belonging to Jesus have been found. 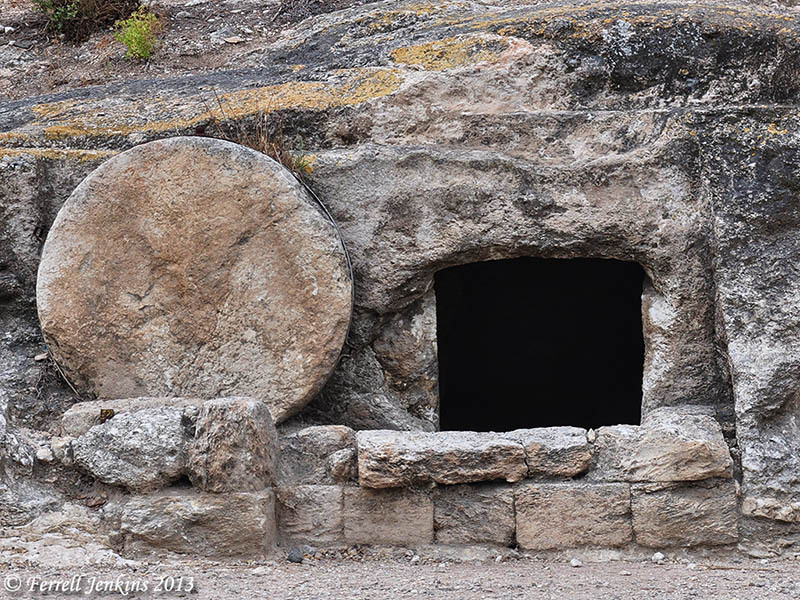 I am aware of the speculation that a tomb in the Talpiot neighborhood of Jerusalem contained the family of Jesus, and possibly even the ossuary of Jesus. One summary of this speculation was published by Bible Places Blog here. Roman period rock tomb with rolling stone near Jezreel Valley. Photo by Ferrell Jenkins. SourceFlix has posted a nice brief video of Passion Week Archaeology here. Post updated from March, 2013. Oh wow, it’s literally on the roadside. I hope to visit it one day, thank you for the location. The tomb is on hwy. 6953 about 1/4 mile south of hwy. 66. It is at the back gate of Mishmar Ha’emek. Might I ask where the “Roman period rock tomb with rolling stone near Jezreel Valley”, as pictured, is located?